Pickle Point - Wellesley Conservation Council, Inc. 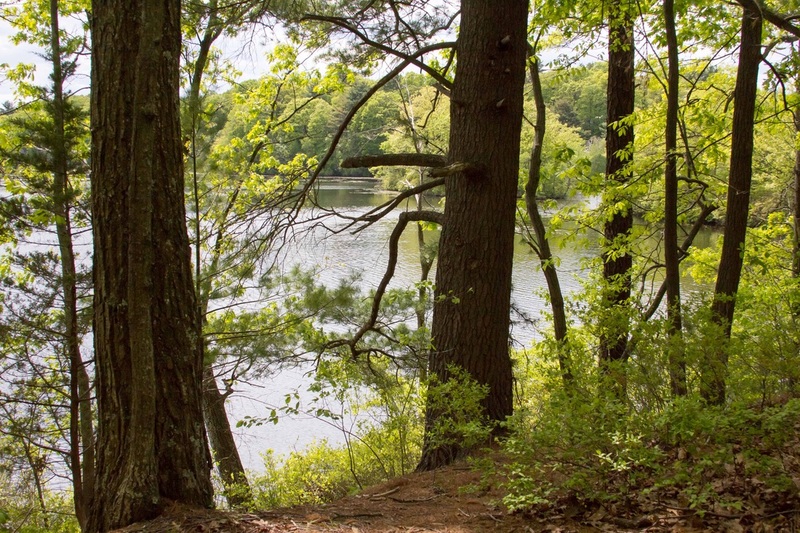 The Wellesley Conservation Council purchased Pickle Point in March 1960 from the Norumbega Boy Scouts. Pickle Point is a 500 x 50 foot promontory jutting into the northwest side of Morses Pond just west of Route 9. It is an esker which is a gravel ridge deposited by a glacier. On this three-acre peninsula there are a surprising variety of trees and many spring wildflowers. To reach Pickle Point you walk west along the Cochituate Path at the point where it crosses Russell Road. You can park in the small lot across from 49 Russell Road and head west on the trail on foot for 3 minutes. You will have views of Morses Pond on your left. Pickle Point is part of the Wellesley Trails' Crosstown Trail. For directions to Pickle Point click here. Take a short tour of Pickle Point by air below, then come see it's beauty on Morses Pond by foot.